For the holidays, Losani Homes is hosting open houses at six of its sales offices in Southern Ontario this weekend. At the events, which will take place concurrently on December 12th and 13th from 12pm to 5pm, Losani will be serving up refreshments and holiday treats to celebrate the holiday season in their new home communities. Sales offices at Ancaster Glen (435 Garner Road East, Ancaster), Fairgrounds Finale (56 Pumpkin Pass, Binbrook), Prairie Modern (220 Mud Street West, Stoney Creek), Doon Creek (691 Robert Ferrie Drive, Kitchener), Victoria Common (310 Louisa Street, Kitchener) and Simply Grand (1039 Rest Acres Road, Paris) will be taking part. The communities hosting open houses this weekend showcase the wide variety of new-construction homes featured in the Losani catalogue. 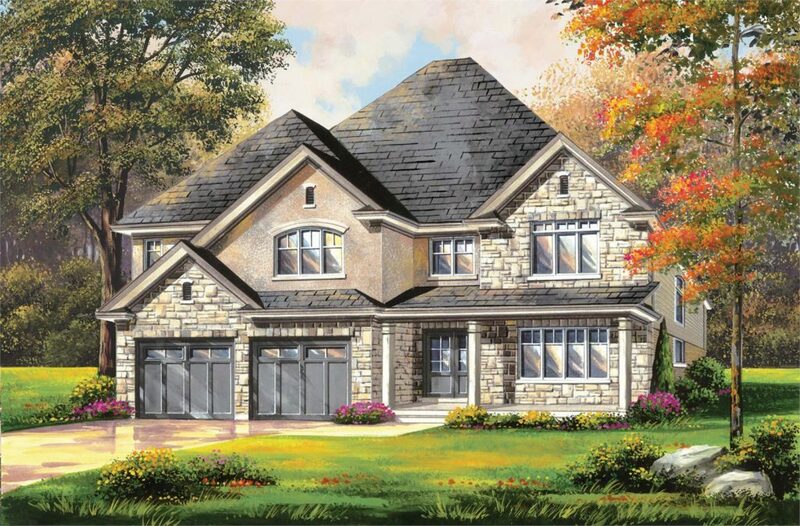 They range from Hamilton’s Prairie Modern, which showcases modern architectural design through its stylish townhomes, to Simply Grand, a development of singles and bungalows featuring classic brickwork in Paris, Ontario, a community which has the distinction of being voted the prettiest town in Canada by Harrowsmith Magazine. The builder, no stranger to charity having worked with Free the Children abroad and other non-profits through the Losani Family Foundation, will be accepting donations of non-perishable food items and unwrapped toys at all of its sales offices to help families in need. In addition to this weekend’s festivities, Losani is giving homebuyers the gift of household upgrades this holiday season. From now until December 31st, Losani is letting purchasers open their present early to receive one of the following upgrades: stainless steel appliance package, central air conditioning, granite countertops, or $2,500 Décor Dollars. For more information on Losani Homes communities, visit www.losanihomes.com or call 1 866 4 LOSANI.